There is a lot of romance connected to traveling, with novels and movies painting us pictures of adventure, holiday lust and passion. The world has given us the gift of plenty of perfect travel destinations to explore with the people that mean the most to us. The perfect holiday location for couples involves getting cozy in hidden corners and walking hand in hand amongst beautiful scenery. Cities like Paris and Venice seem like the 'go-to-choice' for romantic walks and candlelit dinners but there must be an alternative option, right? Right! Explore our romantic holiday destination suggestions for those that are looking to break the mold. 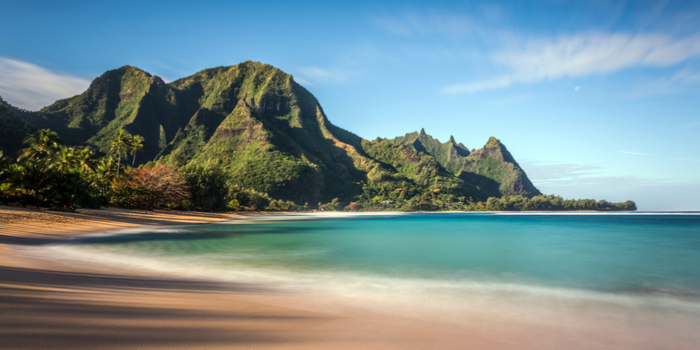 Selecting Kauai for your romantic break is a decision you won't regret. This is a destination bursting full of tender breezes, colorful sunsets and waves gently breaking on the shores of stunning beaches. Sounds like a dream, right? You can choose to relax in one of the many prestigious spas, sip cocktails in luxurious hotels, eat local food prepared with passion or simply chose to stargaze by the ocean with your special someone. The laid-back spirit is infectious and the friendly charm from the locals makes loved up couples feel at home. It is therefore no surprise that it is one of the top world-wide destinations to renew wedding vows amongst beautiful backdrops. Just because there are no romantic movies about St Moritz doesn’t mean that there is no history of starry-eyed couples honeymooning there. In the 19th century, St Moritz was a popular romantic holiday destination thanks to the healing spring with flowing water rich in iron and carbon, thought to aid with fertility. 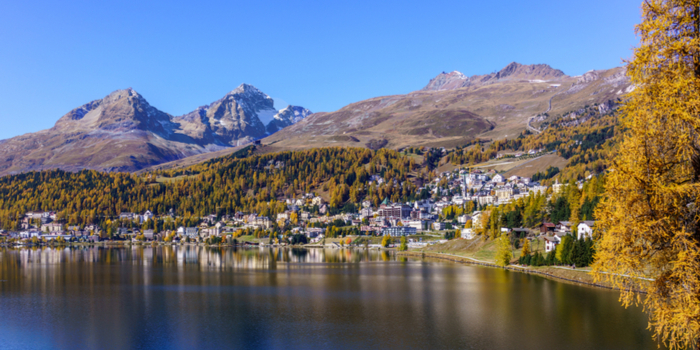 Today, the springs are still popular but there are many more reasons that lovers flock to St Moritz. Not only are there 322 days of glorious sunshine a year, there are plenty of breathtakingly crisp, white views, thrilling skiing opportunities, delicious chocolate tasting, and even the opportunity to snuggle up and take a horse drawn carriage through the city. 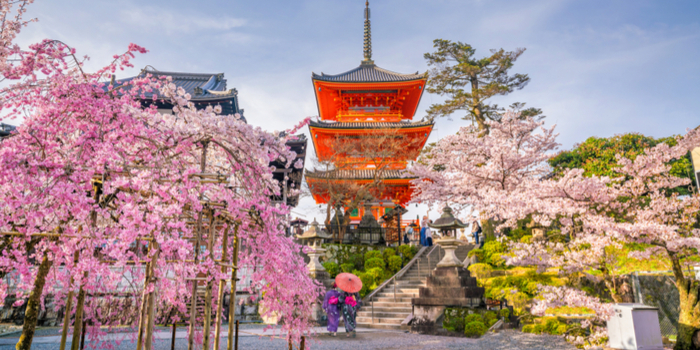 Natural beauty is a running theme in our top picks and Kyoto, Japan is simply stunning. It is a fabulous destination filled with pretty paths and charming colors that change with the seasons. There really is no escaping how aesthetic this location is and the lakes, flowers, spas and shrines all look like they have appeared from a dreamy water color picture. Enjoy a stay at the striking Ryoakn (traditional housing) or indulge yourselves in a steamy soak in a private onsen (hot spring). Don't forget to slip into a traditional Japanese robe and take in the gorgeous gardens. Trust us, you won't have seen anything quite like it. Airbnb and August Smart Lock work together to ensure easy entry for Airbnb guests and hosts! Read about the collaboration between Airbnb and August Home here!